Note: This web page is part of a research blog, and will expand. Also indexed: Acts not specifically referring to Aboriginal people but directly affecting their subject-, citizen- and land ownership rights. 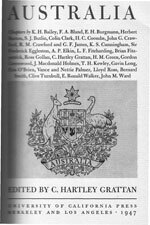 In the Preamble, I shout my opinions from the house-tops, explain why I am doing this research work; provide a small sample of the links to primary source documents, and present my interpretation of New South Wales legal-historical reality. This is not to say that I confine my opinions to the Preamble, and take a dry, measured, theme-based, detached attitude, in the rest of the work, including in this Index page, and the Chapters, following. My tone throughout is designedly agit-prop, tub-thumping, and loudly shouting, and attempts at all times to ram home its message, in memory of Mayakovsky, the revolutionary poet artist hero. Goongi, John Roberts (Snr.,) Widjabul Tribe Elder, Bundjalung Nation, gave me the clues to the topic of this Research project, and permission to do the research about Widjabul Tribe history: and by giving me information about his culture and history, attempted to let me see life through Aboriginal eyes. Many of the phrases and concepts I use in my work, I am borrowing from him, in particular, the term "bastardisation", which I often heard him say about Government behaviour towards Aboriginal people from the start. 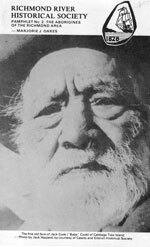 To him also I owe my (limited) understanding of the Widjabul/ Bundjalung term gubbah nyugum" . 'Gubbah' is government, 'nyugum' means, I think, that things are of equal value in a trade situation. 'Nyug' is used now in vernacular to also mean money, so that to say 'gubbah nyugum' is to crack a joke. Now, if you want to, navigate from here.
" 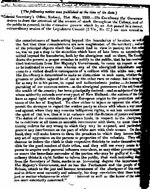 Bloody invasion, Christianity, and the Vagrancy Act (1836)"
Captain PHILLIP, A, R.N. Governor. The Settlement was sited near "an apparently perennial stream of the purest water"
Proclamation of Colony. Aboriginal people became British Subjects with the arrival of English Law. "The natives, too, were hostile. Phillip did his best to treat them kindly, but few of the settlers followed his example; stragglers from the township were killed by way of revenge, and the bush was set on fire whenever the white men turned their stock into it for pasturage." "Banks, take a look at those natives on the beach all hiding their faces!" "Brothers, quick, hide your eyes! Must be Derangun!" The military administer the Colony. 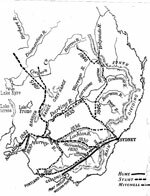 60 men of the New South Wales Corps are sent to the Hawkesbury settlements to combat the Daruk Aborigines. 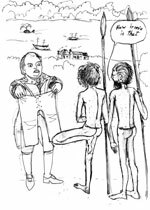 "How ironic is that ..." -1805-Governor King tries to give hemp pants to the local Aborigines. 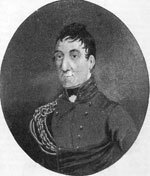 Governor Brisbane allows "the shooting of Aboriginals in batches." Introduction of Trial by jury: "the privilege of being tried by his peers was extended to every man", (but not for the Aborigines). 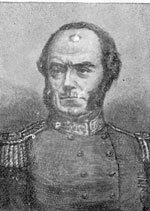 The formation of a force of Military mounted police"
Governors were financially independent because they controlled the money raised from the sale of Crown land. 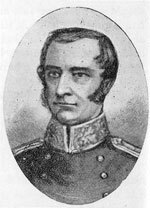 The Black War in Tasmania. An Aboriginal camp near Port Stephens, NSW, 1830's? The Wellington Missionaries report on the violence of the settlers towards the Aborigines . 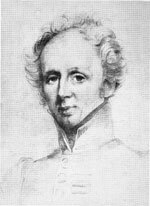 "Graziers who had well established freehold stations found it abundantly worth while to send flocks out far beyond their accustomed pastures, to graze on good free land"
"The duty of acting upon principles of justice and humanity"
Report of the Mission to the Aborigines of New Holland. 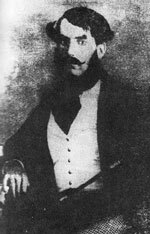 In 1835, John Batman signed two 'treaties' with Kulin people to 'purchase' 600,000 acres of land between what is now Melbourne and the Bellarine Peninsula. 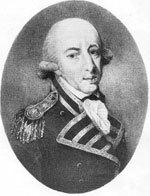 In response to these treaties and other arrangements between free settlers and Indigenous inhabitants, such as around Camden, the NSW Governor, Sir Richard Bourke issued a proclamation. 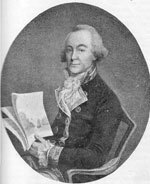 Bourke's proclamation established the notion that the land belonged to no-one prior to the British crown taking possession. John Batman's 'treaty' agreeing that he had purchased 600,000 acres from 8 Tribal chiefs, in return for some blankets, beads, flour, tomahawks, clothes, scissors, looking glasses, and knives. "Queen Victoria Proclaims Aboriginal Rights, and the Evidence Act is Disallowed"
Chapter 2 index, links and summary follows. Colonial Secretary's Office, Sydney (Reissued). Sydney Gazette. 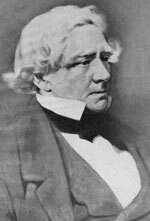 His Excellency has been pleased to report the names of all Persons (forcibly detaining Aboriginal women), "in order that their Licenses may be immediately cancelled, and that they may be prosecuted under the Act, as illegal occupiers of Crown Lands, or otherwise, as the Law directs. 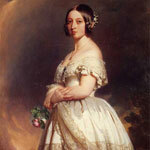 By His Excellency's Command"
Queen Victoria's reign commenced in 1837, so that the Aboriginal subject rights document following must have been one of the first Acts of her reign, denoting its importance. This document is discreetly located, over 2 pages, in tiny print, in amidst the pages of the Crown Lands Unauthorized Occupation Act, 2 Vict 27 1839. 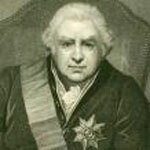 "And be it enacted that out of the said revenue fund there shall be payable every year to Her Majesty her heirs and successors the sum of thirty three thousand pounds for defraying the expenses of the several services and purposes in the schedule marked (A) annexed to this act and a further sum of eighteen thousand six hundred pounds for defraying the expenses of the several services and purposes named in the schedule marked (B) annexed to this act and a further sum of thirty thousand pounds for defraying the expenses of the several services and purposes named in the schedule marked (C) annexed to this act the said sums of thirty three thousand pounds eighteen thousand six hundred pounds and thirty thousand pounds to be issued by the Treasurer of the said Colony in discharge of such warrant or warrants as shall be from time to time directed to him under the hand and seal of the Governor"
"The Land Act of 1842 saw the creation of reserves on Crown Land for the use of the Aboriginal people." This move by the Government aimed to give Aboriginal people continuing 'secure' occupation of land. "Aboriginals - Competent Witnesses (Disallowed). Firearms - Prohibiting to (Disallowed). Wandering in Company with. Supply of Liquor to prevention." "The Squatters use the New South Wales Native Police to expand their Territories." Chapter 3 index, links and summary follows. another attempt was made to introduce a Bill to allow the Aboriginal Natives of New South Wales to be received as competent witnesses. 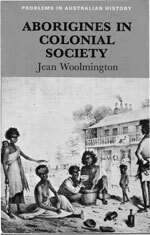 Again it was defeated on the grounds that Aborigines "had no knowledge of truth or falsehood and were incapable of entertaining one scintilla of anything like religion"
"on behalf of Her Majesty with respect to any lands situate within the said Colony in cases where such contracts promises or engagements shall have been lawfully made before the time at which this Act shall take effect within this Colony nor to disturb or in any way interfere with or prejudice any vested or other rights which have accrued or belong to the licensed occupants or lessees of any Crown Lands within or without the Settled Districts"
"The qualifications for Electors of the Legislative Assembly shall be as follows—Every man of the age of twenty-one years being a natural born or naturalized subject of Her Majesty or legally made a denizen of New South Wales and having a freehold estate in possession situate within the district for which his vote is to be given of the clear value of one hundred pounds sterling money ..."
The Act establishes the profitable ownership by the Queen of all the Crown lands in the colony, extinguishes Aboriginal title while affirming squatters' title; establishes 2 Chambers, the Legislative Council and the Legislative Assembly, (dominated by squatters and land profiteers). (S.1) excludes Aborigines from franchise by property, rental or lease qualification, (S.13) describes the Electoral Districts which are actually the Tribal territories of still living Tribes, (S.15) refers to "Christian" names and the published Electoral Rolls, (S.16) makes it legal for the Legislature to regulate the buying and selling of land, referred to as "Waste" lands (S.50) &c.
Wentworth, in Parliament, denies the policy of Government interference in violence towards the aborigines by settlers. "The Crown Lands Alienation Bill (1861) 'makes no provision for aborigines'." Chapter 4 index, links and summary follows. New South Wales Legislative Assembly, 1858. 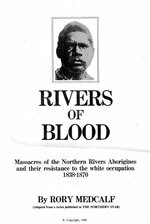 Report from the Select Committee on Murders by the Aborigines on the Dawson River. Member of Parliament says that the blankets for aborigines are often distributed too late in the season, and are sometimes seen on the beds of magistrates and constables. 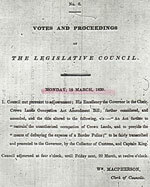 Reserves were set apart by the Governor in Council by notice in the Gazette under State authority derived from S 5 of the Crown Lands (Alienation) Act 1861: no reference made to Aboriginal people. In S 5, such reservation was effected under the power to reserve lands "for any other public purpose". Temporary reservations could be revoked by notice in the Gazette. petition from the moderator and clerk of the General Assembly of the Presbyterian Church of New South Wales, praying that the law might be so amended as to prevent any sale or supply of intoxication liquors to the aborigines. "Evidence Further Amendment Act: 'declarations in lieu of oaths permitted.'" Chapter 5 index, links and summary follows. 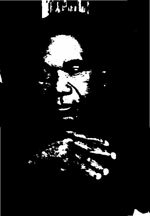 On May 7, 1876, Truganini, the last full-blood Black person in Tasmania, died at seventy-three years of age. ... 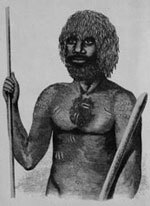 Between 1803 and 1876 the Black aborigines of Tasmania were completely destroyed. "But now the blacks have disappeared, great numbers of native dogs have been poisoned, and water has been artificially conserved for the sustenance of livestock,- all of which has proved as conducive to the increase of wild animals as to the multiplication of sheep and cattle"
Appointment of protectors of the blacks .. "protection of the aboriginal natives from oppression and outrage on the part of Her Majesty's demoralised white subjects in New South Wales"
"The whole matter of the protection of the aborigines of the colony was under the consideration of the Government." Premier and Colonial Secretary recommend the appointment of a Board for the Protection of Aborigines. Maloga and Warangesda Stations. 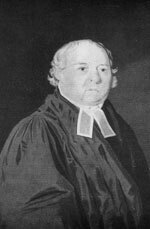 "The Association for the Protection of the Aborigines had taken into its care the conduct of these two stations"
The Honorable George Thornton was appointed Protector of the Aborigines ; but as the work opened up it was found desirable to intrust to a board the duties of the protector. 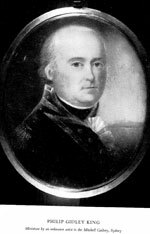 That board consisted of six members, of which the Honorable George Thornton was elected the first chairman. "An Act to apply and extend certain provisions of the Chinese Restriction and Regulation Act of 1888 to other Coloured Races, to repeal section 15 of that Act, and for other purposes incidental to or consequent on the before-mentioned objects. [Reserved, 23rd November, 1896.] (This Act will be printed when it receives the Royal Assent.)" "Aborigines specifically excluded from the Welfare State"
Chapter 6 index, links and summary follows.
" 3. In this Act unless the context or subject-matter otherwise "Aboriginal" means an aboriginal native of New South "Wales. Idle or disorderly person " means every person who commits any offence mentioned in subsection one of section four, " Incorrigible rogue" means every person who commits any offence mentioned in subsection three of section four. "Justice" means justice of the peace. " Rogue and vagabond" means every person who commits any offence mentioned in subsection two of section four .."
Section 16: no contract or arrangement for the carriage of mails was to be entered into on behalf of the Commonwealth unless it contained a condition that only white labour was employed in such carriage. 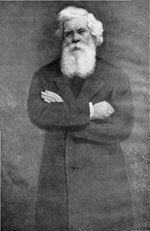 Under Section 4 of the Commonwealth Franchise Act of 1901 no aboriginal native of Australia .... was entitled to have his name placed on the electoral roll unless so entitled by Section 41 of the Constitution which conferred the Commonwealth franchise on all entitled to be enrolled in their State. An Act to consolidate the Acts for the prevention of Vagrancy. [4th October, 1902.]" In this Act unless the context or subject-matter otherwise "Aboriginal" means an aboriginal native of New South "Wales. Idle or disorderly person " means every person who commits any offence mentioned in subsection one of section four, " Incorrigible rogue" means every person who commits any offence mentioned in subsection three of section four. "Justice" means justice of the peace. " Rogue and vagabond" means every person who commits any offence mentioned in subsection two of section four ..."
This made Act Fish traps illegal, and says that "... underweight and undersize fish, shall be forfeited and be disposed of in accordance with the regulations ...The provisions of this section shall not apply to any aboriginal taking or being in possession of fish for his own consumption". 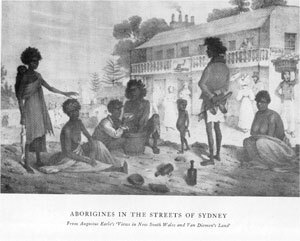 This Act means that "the legislature of New South Wales has power to make laws for the peace, welfare and good government of New South Wales in all cases whatsoever"
Mr Norton makes an appeal on behalf of the wretched, maltreated aboriginals on Brungle Station, ... in order that the deplorable condition in which these aborigines are, may be remedied. The Premier, himself, was present, and Mr. Norton asked him to take note of this matter. "The aborigines on Brungle Station are being grossly mistreated and badly fed ..."
Aboriginal rations from the Aborigines Protection Board: "A full ration of 8lb flour, 2 lb sugar, and ½ pound tea to each adult. and a half ration to each child ..."
Legislative Council Votes and Proceedings; debate, Aborigines. "The right of aborigines to travel free on trams was never recognised. 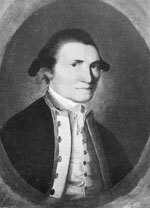 It has been restricted lately, however, in consequence of numbers of aborigines coming to La Perouse from country stations, their constant visits to the city leading to disorder and intemperance." Native Animals Protection Bill 1903 Legislative Council Votes and Proceedings; debate. "The Hon. HC Dangar is surprised to any member of the kangaroo tribe included in the schedule. The sooner they were all exterminated the better it would be. They were hideous, useless brutes. .. We had passed measures offering the pastoralists a premium for the destruction of these pests, and here we were passing a bill to protect them." Photographs of Aborigines in irons showing the common practice of chaining Aborigines in Police custody. "Three so-called Aborigines Protection Acts, and exclusion from voting." Chapter 7 index, links and summary follows. 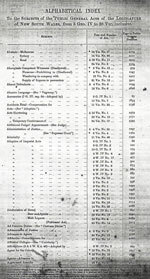 "(4) For the purposes of this section, the expression "aboriginal native of Australia," means any full blooded aboriginal native of Australia, and any person apparently having an admixture of aboriginal blood who— (a) is in receipt of rations or other aid from the Aborigines Protection Board; or (b) is residing on a reserve granted for the use of aboriginal natives of Australia." Aborigines Protection Act 1909 "An Act to provide for the protection and care of aborigines; to repeal the Supply of Liquors Aborigines Prevention Act; to amend the Vagrancy Act. 1902, and the Police Offences (Amendment) Act, 1908; and for purposes consequent thereon or incidental thereto. [Assented to, 20th December, 1909.]" reconstitutes the Aborigines Protection Board. The Inspector-General of Police is now the Chairman. This Act punished Aboriginal children who "refused to go to the person to whom the Board had apprenticed him". 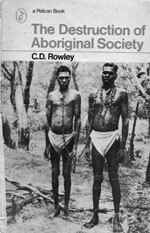 "Aborigines found guilty of being Aborigines, but declared to be British subjects (again)"
Chapter 8 index, links and summary follows. Compulsory voting is introduced in New South Wales. Aboriginal people are still excluded from voting under the Commonwealth Electoral Act 1918 (No. 27). "18a. In any proceeding for an offence against this Act or upon a breach of a regulation made thereunder, the averment in the information or complaint that any person therein named or referred to is an aborigine or the reference in the information or complaint to such person as an aborigine shall he sufficient evidence of the truth of such averment or reference unless the contrary is shown to the satisfaction of the court." Mr. LANG (immediately previous Labor Premier) : "We are not paying them much for the use of their country!" Mr. ARDlLL (UAP, Government): "Unfortunately, we are not." The Act gives even broader powers to the Police and Board, enabling the New South Wales Government to extend its control more than ever over Aboriginal people. This Act is even more fascist than the 1936 version. Mad. The Aborigines Protection (Amendment) Act 1940 (No. 12) reconstitutes the Aborigines Protection Board as the Aborigines Welfare Board. The Under Secretary of the Colonial Secretary's Department is now the Chairman. Commonwealth given State's powers over Aborigines for 5 post war years. Words fail me. Mad. "The Aborigines Protection (Amendment) Act 1943 (No. 13) provides for the appointment of two Aboriginal people to the Board"
Commonwealth Government calls a Native Welfare Conference with the States (Victoria and Tasmania do not attend). The Conference endorses the principle of assimilation. "Aborigines Protection (Amendment) Act 1963: gulag provisions remain intact"
Chapter 9 index, links and summary follows. but remain Wards of State"
Chapter 10 index, links and summary follows. Commonwealth Referendum (27 May 1967) passes, and changes the Australian Constitution to remove the impediment to the Commonwealth Government making special laws with respect to Aboriginal people and to remove the impediments to counting Aboriginal people in the Census. Directorate of Aboriginal Welfare is set up in the Department of Child Welfare and Social Welfare. abolishes the Aborigines Welfare Board. All Aboriginal children under the care of the Board now become Wards of the State. "Anti Discrimination and Land Rights Acts fail to restore Aboriginal rights"
Chapter 11 index, links and summary follows. 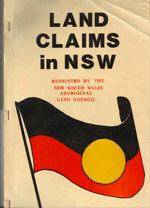 This book is a collection of Land Claims made by Aboriginal communities in New South Wales ..."Aboriginal people in this State had to start fighting for their land ... in 1770 when Captain Cook began the white invasion. Since then whites have taken our land with guns and with laws ..."
"Mabo overturns Terra Nullius, but Native Title Acts validate land seizures anyway"
Chapter 12 index, links and summary follows. "Massacres of the Northern Rivers Aborigines and their resistance to the white occupation 1838 - 1870"
Ministry of Aboriginal Affairs is re-established. It oversees the Office of Aboriginal Affairs and the NSW Aboriginal Land Council. Chapter 13 index, links and summary follows. National Parks and Wildlife Amendment (Aboriginal Ownership) Act 1996 (No. 142) comes into effect, amending the Aboriginal Land Rights Act 1983. It establishes a Register of Aboriginal Owners by the Registrar, Aboriginal Land Rights Act.